A stunning and timely novel about a Mexican-American family in Brownsville, Texas, that reluctantly becomes involved in smuggling immigrants into the United States. From a distance, the towns along the U.S.-Mexican border have dangerous reputations--on one side, drug cartels; on the other, zealous border patrol agents--and Brownsville is no different. But to twelve-year-old Orly, it's simply where his godmother Nina lives--and where he is being forced to stay the summer after his mother's sudden death. For Nina, Brownsville is where she grew up, where she lost her first and only love, and where she stayed as her relatives moved away and her neighborhood deteriorated. It's the place where she has buried all her secrets--and now she has another: she's providing refuge for a young immigrant boy named Daniel, for whom traveling to America has meant trading one set of dangers for another. Separated from the violent human traffickers who brought him across the border and pursued by the authorities, Daniel must stay completely hidden. But Orly's arrival threatens to put them all at risk of exposure. 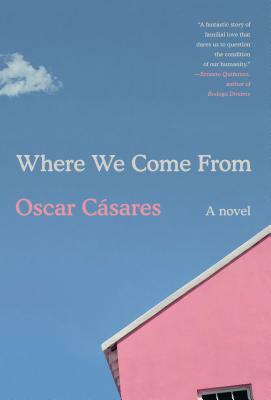 OSCAR CÁSARES is the author of Brownsville, a collection of stories that was an American Library Association Notable Book of 2004, and is now included in the curriculum at several American universities, and the novel Amigoland. He is the recipient of fellowships from the National Endowment for the Arts, the Copernicus Society of America, and the Texas Institute of Letters. A graduate of the Iowa Writers' Workshop, he teaches creative writing at the University of Texas in Austin, where he lives.